WordPress is so much more than just a blogging platform. In reality, it’s actually a powerful tool that gives users with minimal technical skills the ability to create attractive, highly functional websites. You may be surprised by just how many websites are powered by WordPress. Many business owners are creating WordPress websites today, and here’s why. After you’ve registered a domain name and purchased hosting, you’ll be able to install WordPress for free. The process is extremely simple and only takes a matter of minutes in most cases. From there you can pick a free theme and you’ll have a functional (although very basic) website in less than half an hour. Of course, with free themes you get what you pay for, which is why most people choose to purchase a premium theme. Which leads us to our next point. 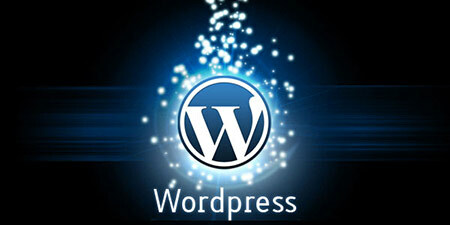 There are about 75 million people using WordPress, which means there is a lucrative market for premium themes. All sorts of software companies have stepped up to meet the demand, and the result is a plethora of high quality, visually stunning themes. Some of the most popular include X Theme, Elegant Themes, and Avada. Themes are somewhat customizable and flexible. If there is something that you’d like to do with your WordPress website, chances are good that there’s a plugin that will help you do it. Want to add a calendar to your home page, or a floating set of social media icons? There are plugins for that. What’s nice about so many plugins is that the same rules don’t necessarily apply regarding their price. There are quite a few free plugins that work just as well, if not better, than their paid counterpart. There is a huge community of experienced WordPress users who can provide you with free support if you run into problems. Also, WordPress hosts a support website which has more than one million different posts. That means that your question has probably already been asked and answered. On top of that, if you purchase a premium theme you’ll get support through their private forums. X Theme is renowned for their incredible support forum, where they’ll help you with everything from a site crash to changing the color of your footer. From installation to creating a post, everything is designed to be easy with WordPress. It’s not an accident that you see 80 year old Grandmas blogging about their baking and grandchildren. It’s an incredibly simple platform to use. However, what’s so nice about the simplicity is that it’s easy to move past it. Once you’ve familiarized yourself with the platform and you want to dig deeper, you can. WordPress gives you countless opportunities to customize your website through custom code and other more tech-savvy changes. In fact this is one of the main reasons for WordPress’s continued popularity. It appeals to people of many different skill levels. With all of these benefits, there’s no reason not to start using WordPress for your business website today. There are lots of great business themes out there which means you won’t have to worry about starting from scratch. Not that you have to feel restricted once you’ve picked a theme though, as every theme will give you lots of chances to customize it and make it your own. If you’re ready to take your WordPress website to the next level with a completely custom-built theme or plugin, call Superiocity, we’ve got you covered.